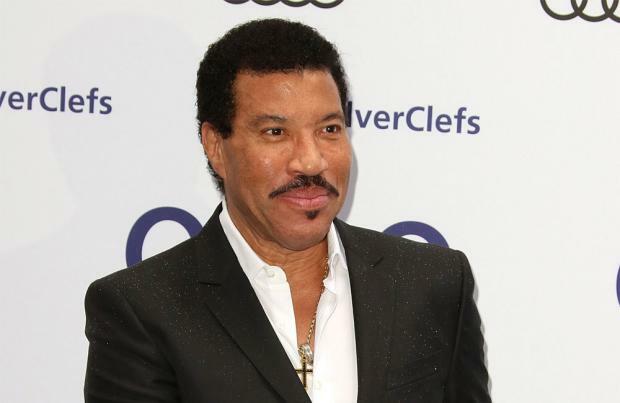 Talking about himself in the third person, Lionel told The Sun newspaper's Bizarre column: "The next big project for Lionel is -- I shouldn't say too much -- but it involves Ed Sheeran. I was a little dumbstruck meeting him tonight. There's Ed over there and he's looking at me and I'm looking at Ed. It's a mutual admiration society. The first thing you say is, 'Do you think you might want to . . . ?' And the answer was, 'Of course.' He's on tour and I'm on tour but it will happen." Upon collecting his coveted gong, Ed said: "The reason I'm playing guitar is because of this man behind me, so it's a real thrill to have him present this award to me." Ed - who also won the PRS for Music Most Performed Work prize for 'Shape of You' - said: "Shout out to Stormzy for winning his Album Award, well done. "I also want to say thank you to Steve Mac who not only did I make 'Shape of You' with, but also 'Strip That Down' [Liam Payne] and other songs that didn't make it. "He told me when we won earlier for 'Shape of You' that he's been coming here for 24 years and he's never won, this is first one. "'Flying Without Wings' didn't get one, which I was really surprised about so this is for Steve Mac, thank you mate."